The international economic development community is constantly holding its own feet to the fire. I sometimes describe the push for transparency and demonstrated as a circular firing squad. It s probably an unfair characterization, since a lack of oversight leads to billions of dollars in squandered aid and international investment. Microfinance, in particular, is a frequent target of scrutiny from economists. It is the darling of the development world, and often mischaracterized as the long-awaited solution to poverty alleviation. But the impacts of microfinance are nuanced and cannot be reduced to a simple formula (i.e. poor woman starts business, business earns money, woman no longer poor). In reality, microfinance smoothes consumption, offers money for non-livelihood expenses, like tuition and home repairs, and, in a few cases, propels women above the poverty line. The impact on poverty alleviation is real, but perhaps more muted than the literature would have you believe. But in all this debate, there is one economic benefit that few people discuss. It had never occurred to me until I met with some friends in Manila this past weekend – veterans of the industry. We were talking about the slew of criticisms leveled at Kiva over the past six months and got to the topic of how to market microfinance. The narrative is always based on the clients, namely, empowering the poor. But we miss the impact microfinance institutions have on their communities by creating jobs. 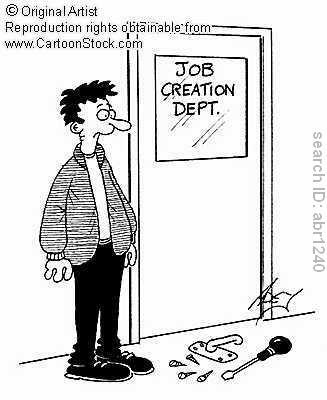 In the U.S., job creation is a sedative for the masses – if a politician brings a few dozen jobs to his jurisdiction, it’s the talking point for his re-election campaign. But MFIs are creating jobs at an amazing rate by expanding their operations. Let me explain. 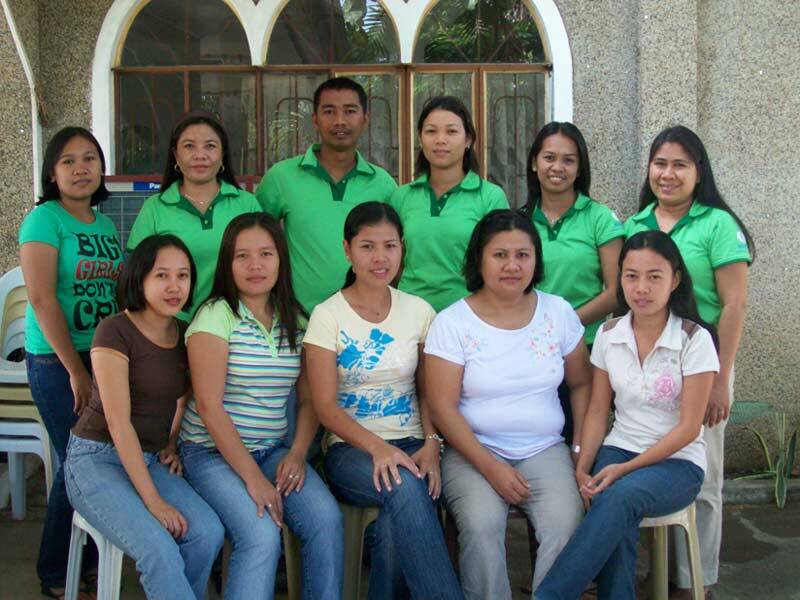 Negros Women for Tomorrow Foundation (NWTF) has about 80,000 active clients and a portfolio of around $9 million USD. In the head office in Bacolod, where I work, approximately 100 people are manning the ship; accounting, IT, operations, human resources, all require meaningful staffs. At each branch, there are an average of seven loan officers, an encoder (data entry), a bookkeeper, a zone agent, and a manager, for a total 11 staff per branch. With 40 branches across the Philippines, NWTF employs 440 staff in the field. 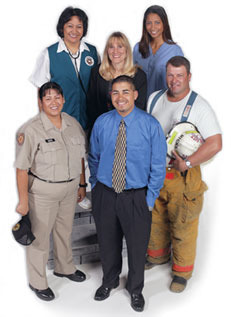 Let’s include an additional 60 employees (janitors, area managers, and others) to make it the total even 600. At NWTF, there is one employee for every 133 clients. Now we can extrapolate this to the rest of the country. For total number of microfinance clients in the Philippines, I will make a conservative estimate of three million (one million for CARD, 300K for ASKI, and 300K for LifeBank, 200K for TSKI, and an additional 1.2 million for the remaining ~40 major MFIs). Applying the NWTF ratio, that is 22,500 jobs. We can take it even a step further. According to the most recent annual report of the Microcredit Summit, an advocacy and trade organization of the global microfinance community, there are ~150 million microfinance clients globally. In reality, it is actually much higher than that, since this only includes self-reporting MFIs. Assuming the NWTF ratio holds true (which it surely does not, given the regional differences in implementation), microfinance institutions employ about 1.2 million people worldwide. Many of these employees are children of microfinance clients themselves. Some come from impoverished backgrounds, some don’t. But 1.2 million is not an insignificant impact, particular in the communities served by microfinance institutions. And this doesn’t include the construction workers that build the branches, the cab drivers that bring the loan officers around, and the plumbers that fix the john. The actual number is probably much higher. In a country of 90 million people, microfinance institutions will never become the Wal-Mart or McDonald’s of the Philippines. But they do offer salaried employment to enough people to make a meaningful impact in people’s lives. It is an overlooked benefit, and one that people should consider when assessing the impacts of microfinance. It certainly is overlooked for when thinking about the impact of microfinance on employment, many of us simply look at micro entrepreneurs engaging in self employment and after a few years, employing assistants in trade. If those figures are combined with the work force of MFIs, the impact on unemployment reduction may be staggering. my research is on microfinance and socioeconomic life.